American singer, songwriter, and actor from San Diego, California. 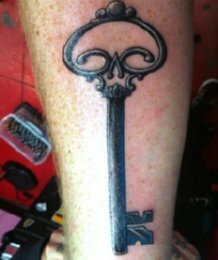 Adam Lambert visited Kat Von D’s tattoo parlor High Voltage Tattoo for a new tattoo this week. Adam Lambert approved the new American Idol judges Jennifer Lopez and Steven Tyler. Adam Lambert, who looked cheerful, visited Y 100 radio station in Miami on September 19. Adam Lambert shared a kiss with Scissor Sisters’ Jake Shears in a new video. Adam Lambert was walking at St George Theatre in Staten Island, New York for the concert on August 24. Adam Lambert became too close to his fans after kissing two fans at Providence, RI. 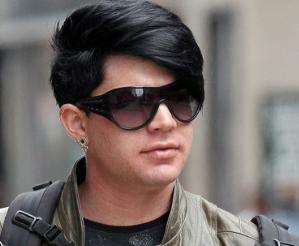 Adam Lambert, who was sporting green toenail polish, was seen leaving Pennsylvania hotel on August 13. Adam Lambert was spotted in a premiere of the official video of performance of “Music Again” from the 2010 GLAAD Media Awards held at Hyatt Regency Century Plaza Hotel on April 17 in Los Angeles. 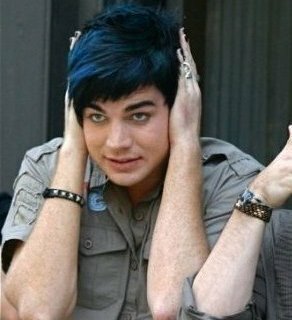 Adam Lambert reacted on his disqualification from the voting of Open House Party radio show because of mass voting by fans. Lady GaGa, who was partying with friends at Ottawa club Barrymore, encountered a homophobe, who criticized her for being friends with openly gay American Idol star Adam Lambert. Katharine McPhee, who made it all the way to the final two on “American Idol,” chatted with the Los Angeles Times, where she was asked about fellow “Idol” runner-up Adam Lambert. Adam Lambert extended his helping hand as he tried to pull Pamela Anderson’s top up on December 31. 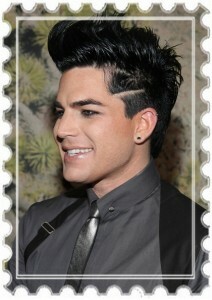 Adam Lambert was seen picking up some skincare products at Ole Henriksen Skincare in Los Angeles on December 27. Adam Lambert, who would be one of the performers at Gridlocked New Year’s Eve annual concert, announced that the show won’t be televised because the event will be closed to stage audience only. Adam Lambert is going to perform on New York City’s stage with his fellow “American Idol” alum, Allison Iraheta and Kris Allen after the Big Apple became the city with the most demand for the reunion concert.